and Comparative Literature at Columbia University. 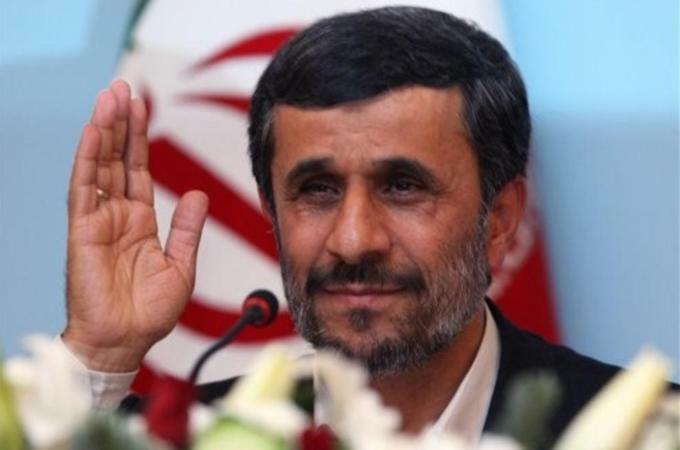 As Mahmoud Ahmadinejad serves out the final days of his lame-duck presidency, and as the ruling regime of the Islamic Republic stages yet another useless spectacle to prove it is still a legitimate state, the world’s attention has harkened back to Iran’s 2009 presidential election, when a nation-wide conviction that the election was rigged sparked what its supporters affectionately called the “Green Movement”.What exactly happened to that Green Movement? Where are those millions of Iranians who almost two years before the rise of the Arab Spring poured into their streets and demanded their civil liberties?On June 23, 2009, a spontaneous mass demonstration erupted in Iran against the officially declared victory of Mahmoud Ahmadinejad in perhaps the most publicly contested presidential election in the history of the Islamic Republic. The following day, the victorious Ahmadinejad staged an official demonstration in support of the declared victory.The day after that, on June 25, Iran witnessed a huge mass rally against the status quo with the slogan of “Where Is My Vote?”, which eventually emerged as the defining moment of an uprising that its supporters by now called the “Green Movement”. Varied readings and misreadings of the Green Movement ensued. There were those among the opposition in and out of Iran – particularly those based in the US and aligned with Washington’s interest in “regime change” in Iran – who thought it was geared to dismantle the ruling regime. The ruling regime itself termed it a fetneh or “calamity’, instigated by the triumvirate of the US, Israel and the UK, and their local lackeys, thus in effect accusing its own founding figures – Mousavi was prime minister under the founder of the Islamic Republic, Ayatollah Khameini, for eight years during the critical years of the Iran-Iraq war – to be instruments of foreign designs. In between these two partisan positions, the fact remained that there was a collective uprising based on its slogan of “Where Is My Vote?” From day one I called it a “civil rights movement” demanding civil liberties, and within a year after its commencement, I wrote a book detailing my argument. Soon after the widespread crackdown on the movement, Mir Hossein Mousavi, his wife Zahra Rahnavard, and his comrade Mehdi Karroubi were all put under house arrest and silenced. But other prominent figures continued to write and air their opposition to the status quo. Chief among them were Abolfazl Ghadyani, Mostafa Tajzadeh and Mohammad Nourizad, all of whom were among the leading Muslim revolutionaries – the founding figures of the Islamic republic, and still in principle committed to it. Two other dissident figures became prominent in the course of this uprising: human rights lawyer Nasrin Sotoudeh and filmmaker Jafar Panahi. Scores of other Green activists still remain in jail, along with dozens of journalists, human rights activists and members of the Baha’i faith. Meanwhile, thousands of Iranian dissidents fled Iran and opted for the indignity of exile in the region, or in Europe or North America. Some of these dissidents joined intellectual US neocon operations and/or the pro-Israeli think-tanks to call for regime change in Iran. But the overwhelming majority of them opted for a full recognition of the dignified limits of what they could say or do from abroad and never joined the bandwagon of “regime changers”, or the treasonous path of plotting against their own homeland. The outdated monarchists and the discredited Mujahedin-e Khalq (MEK) tried to jump on the bandwagon of the Green Movement but failed. The main body of expatriate Iranians remained committed to the democratic aspirations of their homeland but equally adamant and vocal in opposition to the crippling economic sanctions that Washington neocons, their Zionist contingency, in collaboration with their Iranian allies, wereseeking to impose on Iranians – or even talk of military strike – as a kind of “humanitarian intervention”. The debates and contestations among the pro-sanctions and anti-sanctions camps continued apace – with the events in Syria and before it in Libya as a warning sign of what would happen if “democracy” were to be imported. We may now wonder what did exactly happen to the Green Movement – aside from discrediting the Islamic Republic as a champion of revolutionary causes in the region and around the world. As I have consistently argued over the past four years, the Green Movement is not a revolution in the classic sense of the term – it is not violent, and it is not targeted to dismantle the ruling regime. It has neither the ideological nor the militant wherewithal of such aims. It is calm, it is quiet, patient, gentle, and it will outlast all its militant nemeses and obstacles with temperate tenacity. The Islamic Republic may or may not fall from under the pressure of its own inner contradictions, or under the encroaching pressures of the geopolitics of the region. But whether it stays in power or falls, it makes no difference to the expansive success of the Green Movement, in which “Where Is My Vote?” will stay the course as the measure of its once and future successes. So where is it – the Green Movement, what happened to it? It is there, in the bosom of people’s dreams and aspirations, systematically changing the public space and the political culture it rightly claims. Its violent disposition exposed, the Islamic Republic evaded the more immediate consequences of the Green Movement by successfully shifting the leverage of this national politics to the regional context, a move that was in fact aided and abetted by the combined malfeasance of the US and Israel and their regional Arab allies trying to divert the force of the Arab revolutions. These revolutions, which the ruling regime in Iran sought falsely to brand as an “Islamic Awakening”, were in fact exactly the opposite and a return of the repressed for the ruling regime in Iran – namely the fact that theIranian Revolution of 1977-1979 was a multifaceted revolution that had included anti-colonial nationalists, Third World socialists and hardline Islamists among its ideological strands. It was only after the machination of the Hostage Crisis (1979-1981), the prolonging of the Iran-Iraq War(1980-1988), and the Salman Rushdie Affair (1989), under which smoke-screens the ruling Islamists conducted continuous university purges, monopolised the mass media, militarised the security apparatus, carried out cultural revolutions and mass executions of political prisoners. Accordingly, the revolution was categorically labelled as “Islamic”, thus distorting the fact that Iranian political culture has always included hardline Islamism – but has never been limited to it. As millions of Iranians began to be deeply affected by the treacherous crippling sanctions that the pro-Washington expat opposition encouraged, and as the threat of war (aka “humanitarian intervention”) mounted, most Iranians remained committed to the democratic aspirations of their homeland, while categorically opposing the imposition of sanctions, the threat of war, and the assassination of Iranian scientists. In the larger historical and geographical context of the Green Movement, as a result, it bloomed early like a fragrant flower, to paraphrase a beautiful poem of Ahmad Shamlou (1925-2000), the Iranian poet of liberty, announcing the winter had ended, and gently sublated into the Arab Spring, forever changing the geopolitics of the region. This is not to suggest that the Green Movement “caused” the Arab Spring. During the earliest stages of the Arab Spring, I suggested we could read it like “the Third Intifada”, borrowing a Palestinian reality and lending its allegorical power to a much larger historic scale. During the height of the Green Movement, Iranians themselves were borrowing the term “Intifada” to refer to their uprising, and in a piece on Handala I extended that Palestinian icon to the cause of liberty in Iran. In a critical piece, Murtaza Hussain has suggested that after the US invasion of Iraq and the carnage in Syria, the notion of those nation-states is now just a political fiction. That fiction has always been definitive to post-colonial nation-states – and their ruling regimes desperately trying to survive should not be the only forces that cross borders. Saudi Arabia and its Persian Gulf shadows, Israel, the United States and its European allies systematically trespass national boundaries – and so liberation movements must hide and then seek each other from one tyranny to next. The Iranian Green Movement, the Palestinian Intifada and the Arab Spring are all like beautiful water lilies floating on the surface of the same expansive pond, nourished by the same subterranean gestations.